The wastewater from industries varies so greatly in both flow and pollutional strength. So, it is impossible to assign fixed values to their constituents. 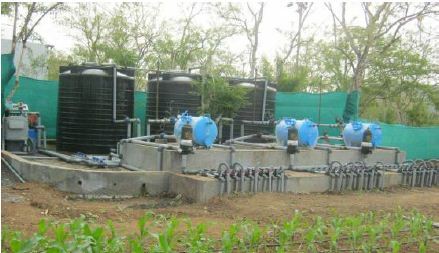 In general, industrial wastewaters may contain suspended, colloidal and dissolved (mineral and organic) solids. In addition, they may be either excessively acid or alkaline and may contain high or low concentrations of coloured matter. These wastes may contain inert, organic or toxic materials and possibly pathogenic bacteria. 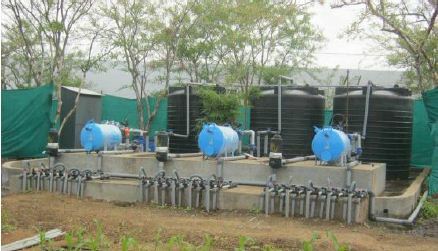 It may be necessary to pre-treat the wastes prior to release to the agriculture or municipal system. a. We are playing active role in developing clog-free emitter for processed water from both onion and fruit processing industries. Testing protocol is developed for testing clogging resistance of emitters either to let pass or to prevent entry of solid particles of a given size, with a view to approach the minimum size of the internal aperture within emitter and further it helps in the selection of system filtration size. 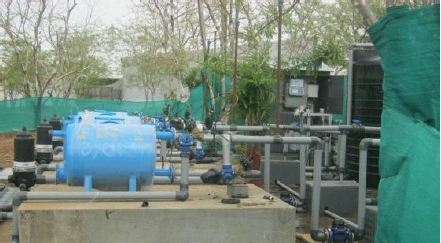 Different emitters are tested by passing treated water through it for cycle duration of 480 minutes for minimum 15 days. The lines are kept pressurized for 240 minutes and non-pressurized for 240 minutes. Six different varieties of emitters have been tested till today of both type pressure compensating (PC) and Non Pressure compensating (NPC). PC Emitters have shown effective results as compared with NPC. 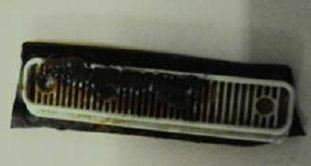 The clogging resistance of PC emitter is higher than that of NPC. b. Water analysis is done to trace out (detect) the type of impurity responsible for clogging after every one month. List of parameters are analysed at our laboratory; pH (7-9), EC (1-3ms/cm), TDS (1000 – 4000 ppm), BOD (100-400) , COD (100-300), Carbonates & Bicarbonates (50-100), Chlorides(50-100), Sulphates(50-100), Sodium (100-400), Potassium(50-200) , Calcium (50-100), Magnesium(10-50), Arsenic(NIL), Iron (0.1-0.5), Lead, Cadmium, Zinc, Pathogenic microbes, Nitrates, Physical impurities. Soil analysis is done to know the amount of nutrients present in the soil / also to know the soil borne diseases and other essential properties. 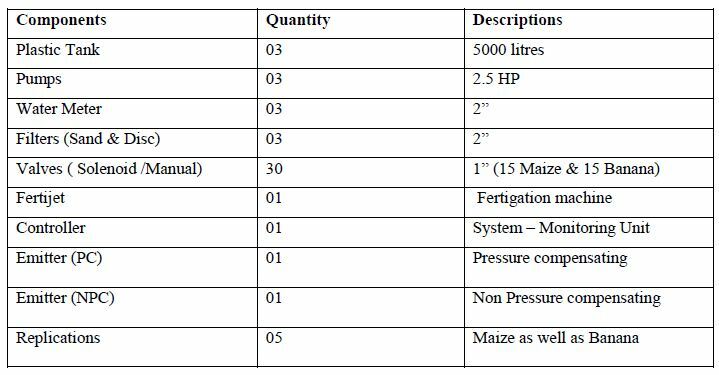 This could help to select the fertilizer & pesticide dose/ Irrigation scheduling & other crop & farm treatments. The list of parameter tested in our laboratory are: Micro nutrient & Macro Nutrients, Sand(%), Silt(%), Clay(%), Bulk Density, Soil texture & Soil Microbes. 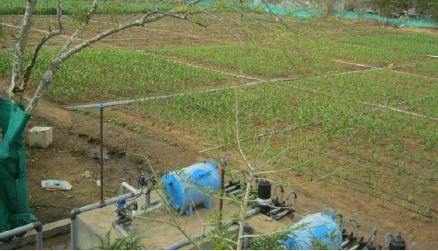 Increase water use efficiency through efficient irrigation systems, strategies and improved agronomic practices. Trails are carried out on two different crops – Maize & Banana. 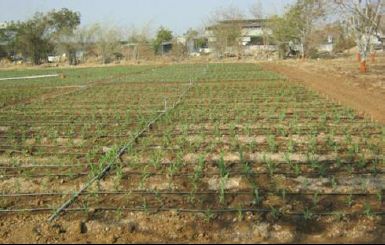 Three water sources (Fruit, Onion & Bore well) have been used to know the effect on drip system, crop as well as on soil. 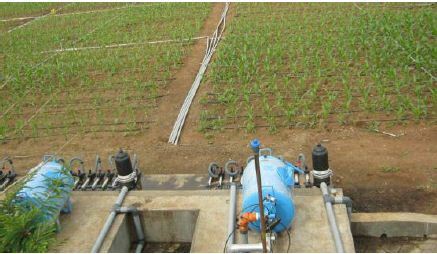 Trails are replicated five times to minimize the error and to achieve good results on two different crops Maize and Banana. Crop is responding well for all the water sources since from date (30/01/2014 – MAIZE & 15-02-2014 – BANANA) of sowing. But it is noticed that fruit water has good effect on maize than the fresh & onion water. The Plant height, Number of leaves, Vegetative Growth is found good in Fruit water under NPC dripper than that of PC. System is responding well to fresh water followed by fruit. The frequency of cleaning sand filter and disc is more in case of onion than that of Fruit. After every 9000-10000 litre of fruit water we need to clean the sand as well as disc filter. 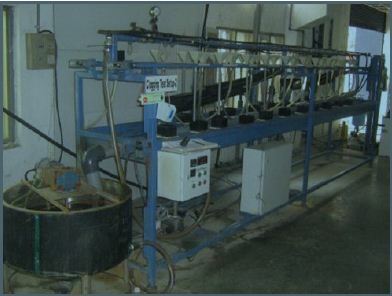 In case of Onion filter cleaning is necessary after every 5000 to 6000 litre of water. Lateral & sub main flushing is done after every 15 days for both onion and fruit water.